If you are interested in virtual reality, join VR Club! 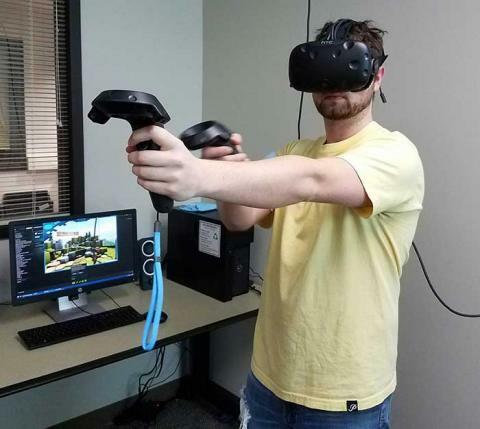 VR Club meets to experience virtual and augmented reality and is open to all majors. This club is for those who just want to play VR games and for those who want to develop apps using this emerging technology. Join the mailing list by signing up on this form. For their Spring 2018 semester project, VR Club is creating a tour of the Sonoma State campus. VR Club is using a Samsung Gear 360 2017 to capture pictures and videos then utilizing Unity and Google Cardboard’s SDK to develop the tour itself. This project will be featured in the Tech Showcase and the Please check back for updates.